The wedding rumors are true. 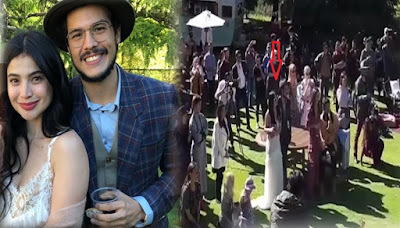 Anne Curtis will get married to her long-time boyfriend Erwan Heussaff after a one-year engagement. The wedding will take place in Queenstown, New Zealand on Sunday, November 12, and it will be witnessed by the couple's family and friends. On Saturday, the couple held a welcome party for their guests before the much-awaited wedding. Among the attendees were the actress' fellow 'IT' girls Georgina Wilson, Solenn Heussaff and Isabelle Daza, and her 'It's Showtime' co-hosts Vice Ganda, Vhong Navarro, Karylle, Ryan Bang, Kuya Kim, Jugs and Teddy.